Recently, Kim, a friend of mine who was suffering from an infection, mentioned that her physician prescribed an antibiotic for her. During the course of their conversation, her physician explained to her why he chose this particular antibiotic rather than a stronger one from the family of Fluoroquinolones. 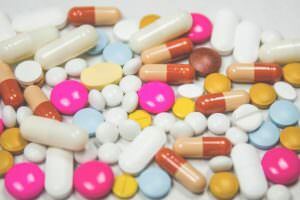 You may not be familiar with Fluoroquinolones but perhaps you’ll recognize some of the the more common names: Cipro, Levaquin, Tequin, Avelox, Ocuflox and Noroxin among others. Kim went on to explain that her doctor did not want to put her at risk for one of the many side effects of these antibiotics, particularly the potential of developing tendinitis and of rupturing a tendon, or two, or three! Kim has had surgery on the tendons in her feet with terrific results – why mess with success! This information peaked my interest, so I did some research and found that older adults need to be especially astute when prescribed meds from this family of antibiotics. changes in mental status The F.D.A. also warned of the problem in July. In May 2016 the FDA issued yet another safety communication for doctors to restrict the use of fluoroquinolones for certain uncomplicated infections, Be sure to have a conversation about any antibiotics your physician may prescribe for you. It’s common knowledge that antibiotics are overprescribed. Make sure your condition calls for a prescription. Ask if you can get better through other means. Explain your concerns about side effects especially if prescribed a Fluoroquinolone. Above all, listen to your doctor as they explain their medication preferences to you. For more by Virginia Tortorici, click here.